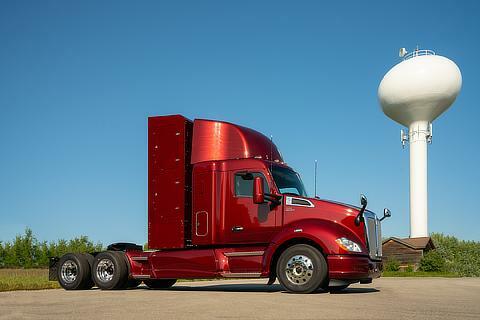 News Release Innovation Environmental Technology Region U.S.
Traverse City, Mich. (July 30, 2018)―Toyota today took the next great leap towards the future of zero-emission trucking, unveiling the second iteration of its hydrogen fuel cell electric Class 8 truck before a crowd of media and industry leaders during the Center for Automotive Research (CAR) Management Briefing Seminars in Northern Michigan. 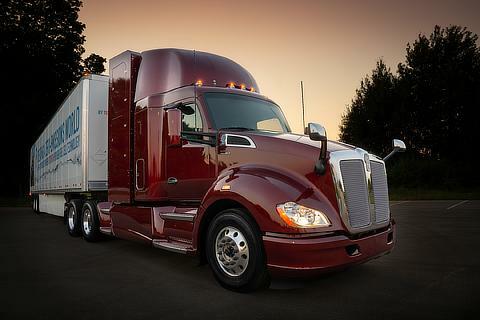 The new truck, known internally as "Beta," expands on the capabilities of Toyota's first Project Portal test vehicle by increasing the estimated range to more than 300 miles per fill. 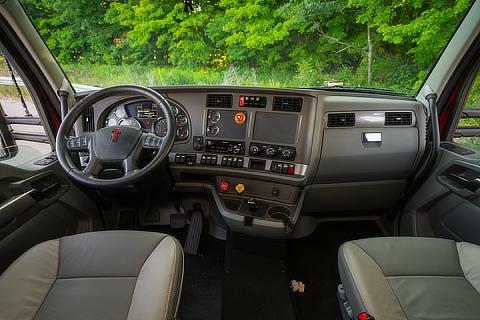 The truck also enhances versatility and maneuverability with the addition of a sleeper cab and a unique fuel cabinet combination that further increases cab space without increasing wheelbase. 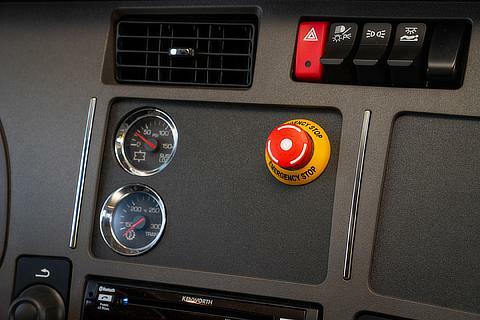 Since it first began operation in April 2017, the Project Portal "Alpha" truck has logged nearly 10,000 miles of testing and real-world drayage operations in and around the Ports of Long Beach and Los Angeles while emitting nothing but water vapor. 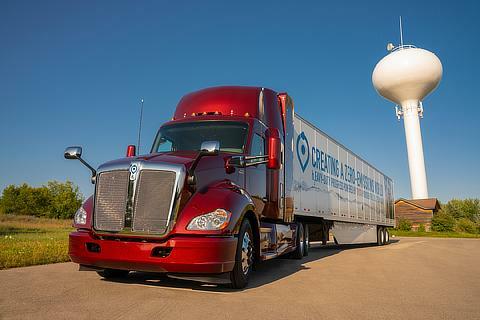 The Beta vehicle will begin drayage operations in the fall, increasing the Ports' zero emission trucking capacity and further reducing the environmental impact of drayage operations. Project Portal 2.0 builds on the lessons learned from the launch of the Alpha vehicle in 2017. 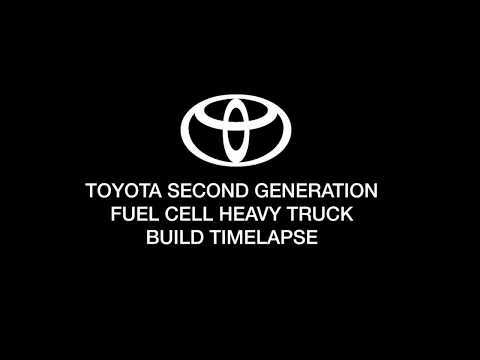 The first heavy-duty truck was the result of a true skunkworks effort within Toyota that moved from initial concept to a fully-capable drayage truck driving silently out of a Michigan garage in just over a year. 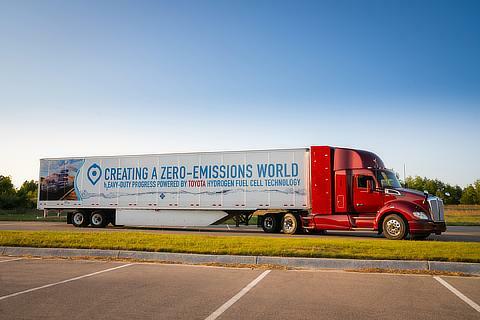 Engineers and technicians worked long hours to reconfigure the wire harnesses, electronics and other components of two off-the-lot Mirai fuel cell electric cars to create one of the world's first OEM-built zero-emission heavy trucks. The results of their work continue to impress. With a gross combined weight capacity of 80,000 lbs. and a driving range of more than 200 miles per fill, the 670-plus horsepower Alpha truck produces 1,325 pound-feet of torque from two Mirai fuel cell stacks and a 12kWh battery. Project Portal Beta maintains these torque and horsepower numbers while also extending the range of the vehicle and pushing forward on other key performance metrics. 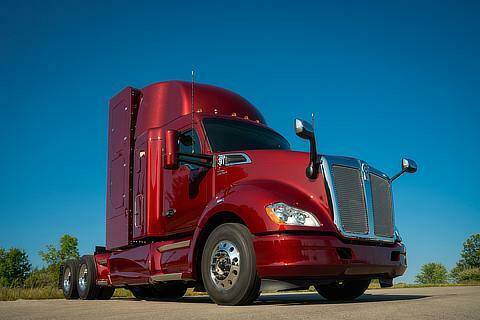 "By evaluating the first truck in our test facilities and on the actual roads in the LA area, we made a list of improvements for the Beta truck build process and performance enhancements," said Andrew Lund, Chief Engineer for the project. 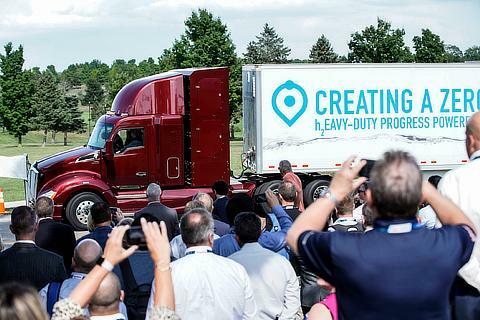 He continued, "We needed to move beyond a proof of concept, which the first truck accomplished, to something that is not only better than the original but is also more commercially viable." The story of Project Portal's inception and evolution follows the long tradition of Toyota innovation that dates to the company's entry into the automotive space. The first Toyota (then Toyoda) sedan, the A1, was produced in much the same manner as the original Project Portal truck- through experimentation, trial and error, and a lot of sweat. Once completed in 1935, the A1 was tested by the company's founder, Kiichiro Toyoda, and then refined into their first commercially available car, the Toyoda AA. Likewise, through the lessons learned with the first truck, Project Portal 2.0 is more refined, functional, and capable. 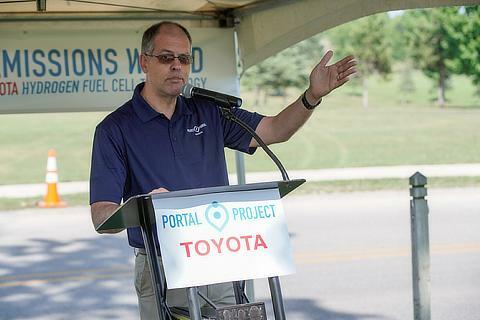 Also, just as the AA started Toyota on a path as an automotive leader, Project Portal is expanding Toyota's already robust environmental leadership to the next level. 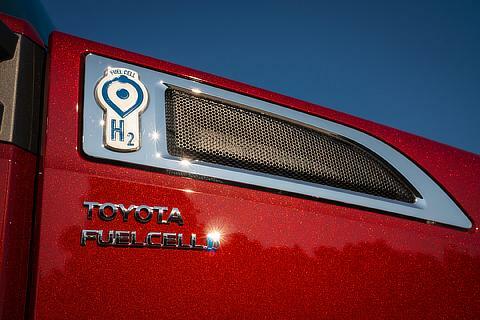 Going forward, Toyota remains committed to supporting the development of a consumer-facing hydrogen infrastructure to realize the potential of fuel cell vehicles. 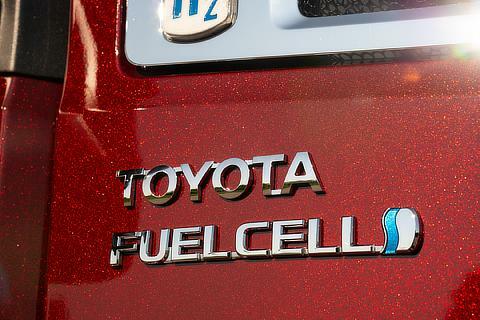 "Our goal with the first truck was to see if it could be accomplished, and we did that," said Senior Manager for Toyota's North American Electrified Vehicle & Technologies Office Craig Scott, "This time we're looking at commercial viability. We want to help make a difference… a significant difference when it comes to the air quality not only in the LA area but across the U.S. and around the globe." This announcement is a continuation of Toyota's Environmental Challenge 2050 efforts to eliminate CO2 emissions from its Toyota Logistics facility at the Port of Long Beach. Toyota has previously announced the construction of the Tri-Gen facility which will be the first megawatt-sized carbonate fuel cell power generation plant with hydrogen fueling in the world. The 100% renewable plant will use agricultural waste to generate water, electricity, and hydrogen that will support Toyota Logistics Services' (TLS) operations at the Port of Long Beach.